The casual, yet classy feel of the lower profile of the Contempo Square make it the perfect table for relaxing around or displaying in smaller spaces. The compact design allows for a wide versatility of locations and uses and is perfect for balconies or small patios. 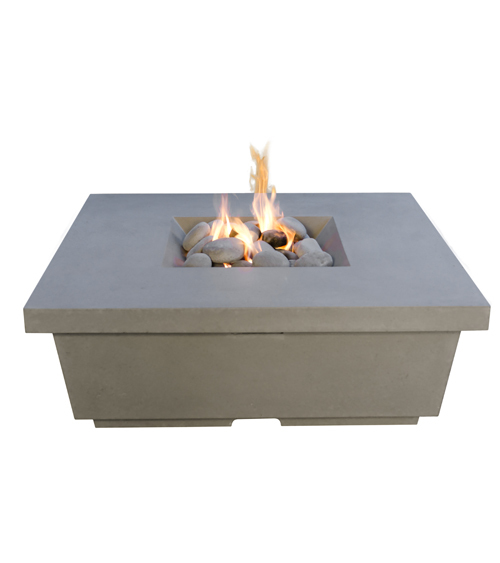 Our firetables create the perfect ambiance for enjoying an outdoor meal or cocktail while also keeping you warm from the evening chill. Fuel options include natural gas or propane (tank housed separately, several tank storage options are available, sold separately). Handcrafted from glass fiber reinforced concrete.